No more Ridgy Rolls for the Timbers. 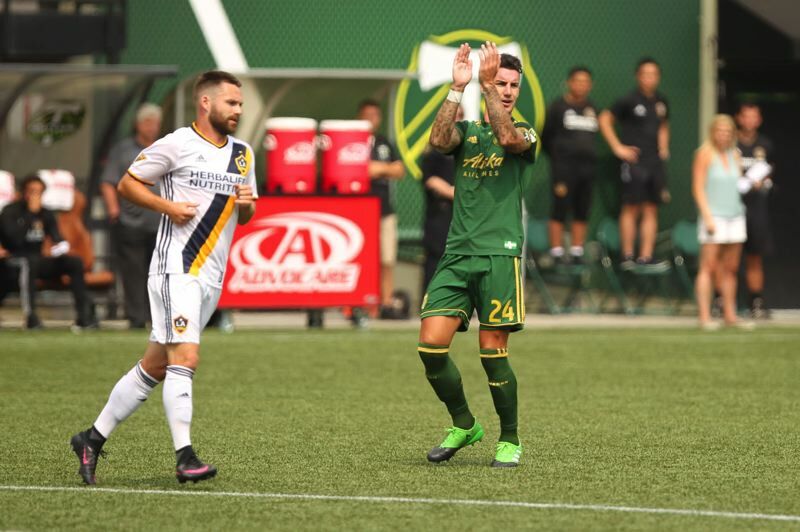 Liam Ridgewell, a central figure in Portland's success since he joined the MLS club in 2014, will not play for the Timbers in 2019. The club and Ridgewell, who turns 35 this year, on Thursday announced a mutual decision to part ways. While not a surprise after a somewhat rocky 2018 season for Ridgewell, his strong voice and competitive drive will not be easily replaced. The arrival of Ridgewell was a turning point for the franchise, bringing stability and leadership to the central defender position. He was a critical voice whose 12 seasons playing top level soccer in his native England brought a confidence level the Timbers lacked over their first three MLS seasons. His ability to be strong in the air and technical with his left foot playing out of the back were valuable skills on the field. "Liam is quite simply one of the most important and influential signings in Timbers history," Timbers owner Merritt Paulson said in a club press release. "Not only has he been a top defender in MLS since his arrival but he is a winner who greatly contributed to our locker room culture. I thank Liam and will miss him." Ridgewell's time in Portland had its challenges — most notably an October 2016 arrest for drunken driving in Lake Oswego, a charge that was dismissed. Last season, he was benched by coach Giovanni Savarese for a spell and lost the team captain role, but his return to form late in the season was key to the Timbers' playoff run to the MLS Cup final. Along with Diego Valeri and Diego Chara, Ridgewell's presence gave the Timbers a strong spine that also helped the team win the 2015 MLS Cup championship and twice finish with the best record in the Western Conference. Ridgewell played in 97 regular-season games and 13 playoff games, all starts, in his five seasons with the Timbers. He scored six goals and had two assists, but his real impact was as a strong presence in the middle of the defense, where he was a vocal leader and, when healthy, one of the top central defenders in the league. He was a MLS All-Star in 2014 and 2016 and the Timbers' defender of the year in 2014 and 2015. Ridgewell's 2018 season got off to a rough start under new coach Savarese. Because of injuries and coaching decisions, Ridgewell was out of the lineup for half of Portland's regular-season games last season. But Ridgewell's presence and his partnership with Larrys Mabiala were the foundation of Portland's surprising run to the MLS Cup final. Replacing Ridgewell's combination of skill and leadership won't be easy. Central defender is a tricky position for MLS teams to fill, and one that doesn't create the buzz attacking players do. But — as Ridgewell proved during his time in Portland — center back is a vital position for any team that expects to compete for trophies. According to MLS Players Union figures, Ridgewell earned $700,000 in 2018. His departure should give Timbers GM and president of soccer Gavin Wilkinson resources to add another starting-caliber central defender to the roster. The Timbers' current roster includes center backs Mabiala (31), Bill Tuiloma (turns 24 in March), Julio Cascante (25) and Modou Jadama (turns 25 in March). Tuiloma, who can play either midfield or defense, emerged last season as a solid option when called upon at center back. Zarek Valentin also can play center back in a pinch. Whoever steps into the spot vacated by Ridgewell likely won't match his unique personality — one reflected by the goal celebration Ridgewell introduced when he rolled like a log after scoring his first goal for the Timbers in an August 2014 match at New England.